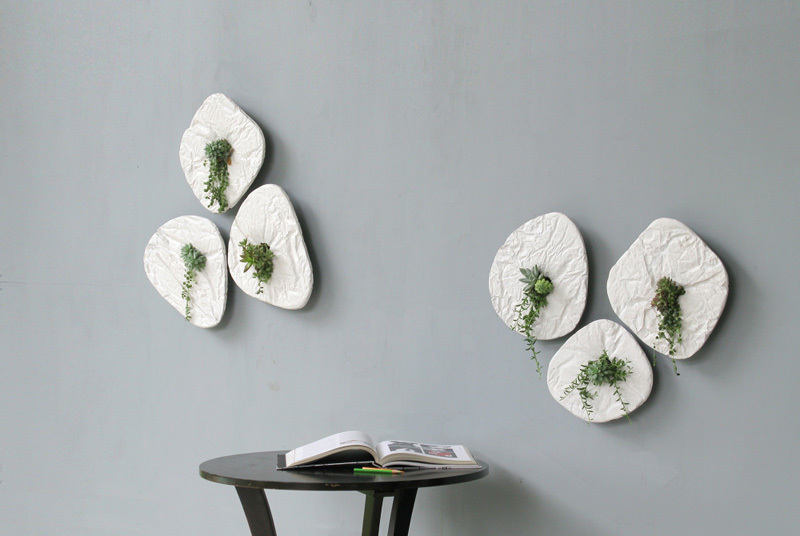 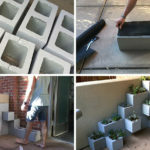 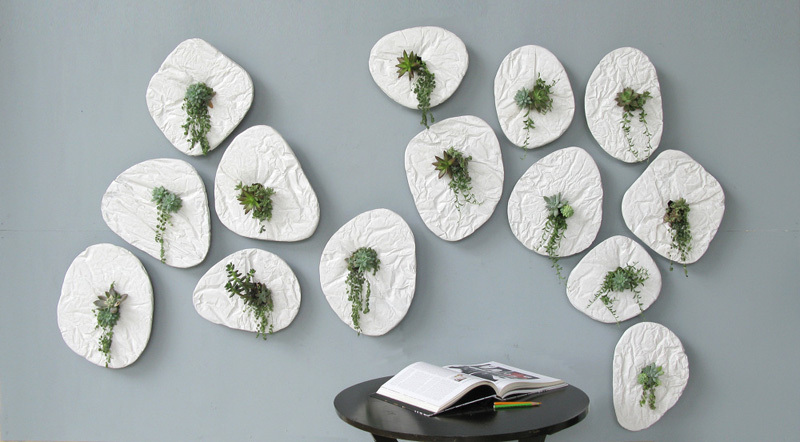 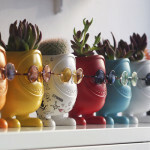 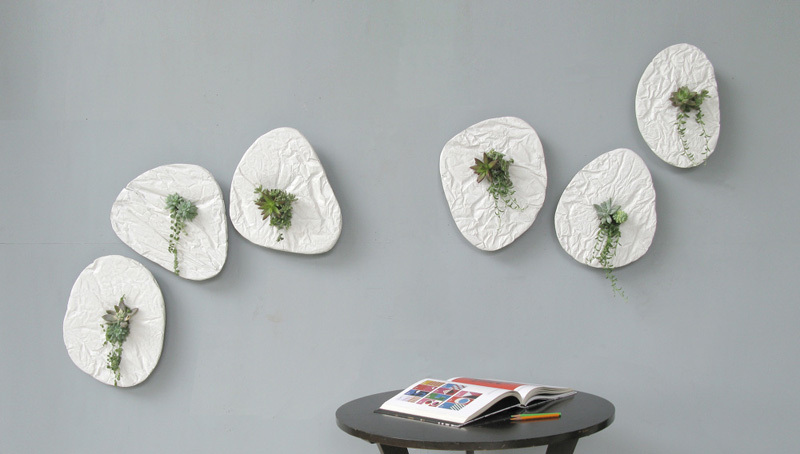 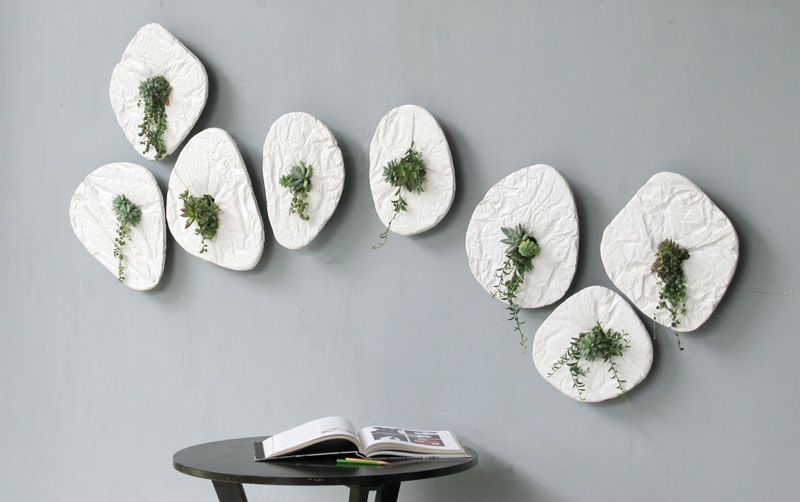 Designer Taeg Nishimoto of studio TN/MOS, has made a collection of wall planters named ‘SEEDS’. 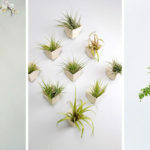 To create the SEED, the designer crumpled Tyvek to create a form, and once happy with the shape, he then coated the inside with a thin layer of a fast-drying concrete mix. 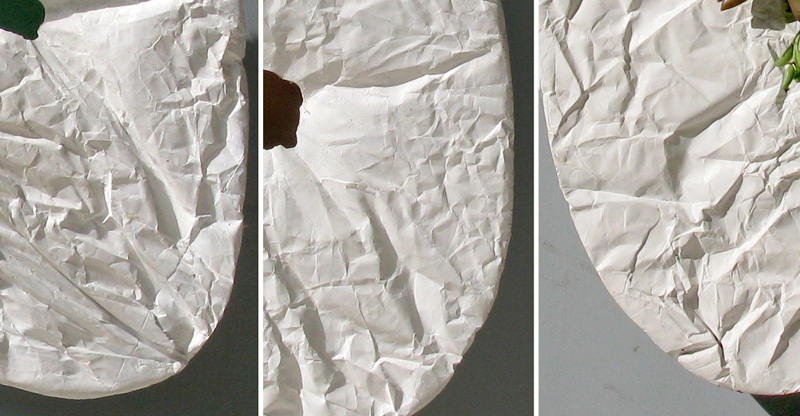 After the concrete dries, he removes the Tyvek to reveal the SEED. 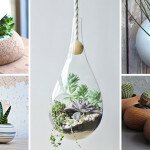 A hook is then attached to the back of the SEED, and any plant that is small enough to fit inside the hole, like a succulent or air-plant, can then be planted.